This summer 18 students and two members of staff from Darlington’s Queen Elizabeth’s Sixth Form in Darlington visited Romania. This was no ordinary visit as they travelled to Romania to do voluntary work, helping to build and repair housing in Brasov, a project based around the Roma Community who face much discrimination. The students worked closely with the Community, digging foundations for new homes, plastering others using traditional techniques and organising English and sporting activities for the children, many of whom do not attend school. The experience had a profound impact on the volunteers. They saw local living conditions with up to twelve people to a room, with little or no sanitation and witnessed direct discrimination when a Romanian female picked up, bound and beat two of the small girls who had attended an English lesson. The students slept on the floor of a local church, prepared their own foods bought from local markets and got used to limiting the amount of water they used for showers and washing clothes. They realised just how lucky they were to be born and brought up in England! Prior to going to Romania the students embarked on a wide range of fundraising events to enable all who were interested to take part and to provide toys and educational materials for the local children. The exiled Princess Helen of Romania also visited QE to find out more about the project and to give her support to it. 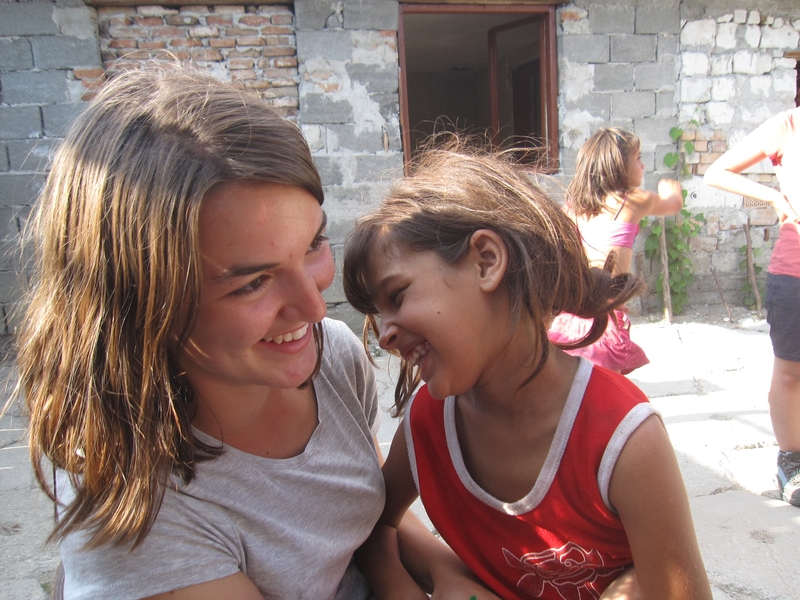 For their work in Romania the students have been shortlisted for the Educational Journey of the Year Award. The winners will be announced at the Educational Travel Conference in October 2012.